What do you get when you add more Cheese to Cheese? You get Deep Cheese! The result of painstaking years of development, it intensifies the already sharp flavors of its predecessor. But, that is not all. What makes this hybrid truly unique is that it is the result of inbreeding. While most new strains out in the marijuana market are the result of crossing two, three, and even four strains, Dinafem took the risk and bred their famed hybrid using their one and only Cheese. Itself a result of inbreeding of multiple Skunk #1 varieties. Since its inception in the 1980s, it has become a central staple in the marijuana industry as an independent joint and as a genetic base for modern hybrids. Essentially, Deep Cheese is just Cheese but better. In flavor and even effects, it is well balanced and much more pronounced. Deep Cheese both amplifies and enhances the effects of Cheese. 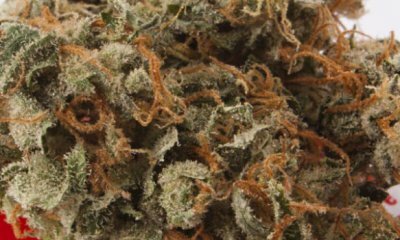 It provides great mental effects at the onset that’s paired with a relaxing body high at the comedown, perfectly representing its Sativa and Indica sides. As such, users experience a strong well-rounded high. At the onset, it sends a zap of energy that wakes tired spirits. In enhancing the mood, it also brings users to new heights of euphoria. With happiness welling inside, users feel a little more invincible against negative thoughts. Used in moderation, however, it clears the mind and promotes an amplified sense of focus. Feeling motivated, many are determined to undertake each task with eagle-eye scrutiny. After a while, the creeping Indica effects become more pronounced. Through a tingling sensation that ebbs down from the temples, it induces a soothing high. As the uplifting buzz increases in intensity, it puts the body into total relaxation. Though the Indica effects envelop the user, they only serve to complement the mental stimulation. The relaxation is so users can get on their fun-filled productive day without feeling overwhelmed with the things to be done. 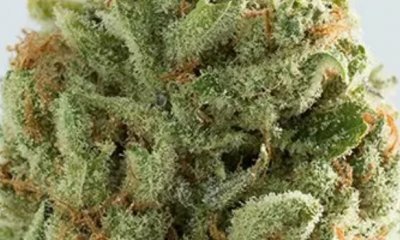 Despite vague reports on its THC levels, there is a general consensus that the strain boasts insane amounts of THC. This is not surprising considering Cheese does test up to 20%. Moreover, the long period it took to create Deep Cheese was not for naught. When abused, its effects could potentially render users in a crippling couchlock. In essence, Deep Cheese’s aroma is just a more accented version of its parent strain. Like Cheese, this inbred hybrid takes users with its sharp scent. When combusted, it releases a skunky smell reminiscent of its grandparent, Skunk #1. Truly, Deep Cheese is its namesake albeit a little stronger. Deep Cheese’s name is a dead giveaway to its flavor. Besides the pronounced taste of cheese, a savory skunk is evident in its undertones. Drawing in the smoke, a pleasantly smooth sharpness soothes the throat. However, some users may experience a little coughing during the exhale. Deep Cheese or not, taking marijuana tends to cause dryness in the mouth and redness in the eyes. It’s a good thing that these are the two most common side effects of cannabis since they are quite mild to begin. The discomfort they both bring can also be easily eased through hydration. Besides those stated above, Deep Cheese may cause users to feel anxious. Some even reach the point of paranoia although the chances of this occurring are rare. If they do happen, the victims tend to be novices. As such, beginners may always consider having a seasoned user around to help pace the consumption of buds. All three generations of the Cheese family are powerful Indicas whose best use is for managing pain. Their relaxing properties are world famous for easing even the most chronic of bodily aches. The same holds true for Deep Cheese, the grand-offspring of Skunk #1. Armed with a powerful Indica lineage, Deep Cheese provides a reprieve for medical users suffering from different kinds of aches and pains including headaches, cramps, and fatigue. Its soothing high also eases nausea. An excellent stimulant, the strain can also help users who have lost their appetite. 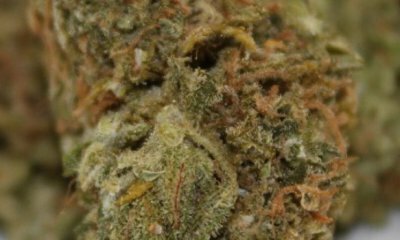 Though Deep Cheese maintains the same 80:20 Indica/Sativa ratio of its parent strain, it still retains more than enough psychoactive compounds to be of medicinal value to users with mental afflictions. For example, it can be a source of comfort to those with depression and PTSD. Effective at wiping out bad moods, the mental stimulation positively changes one’s negative outlook on life. Similarly, its energizing cerebral high reinvigorates those severely stressed. Deep Cheese is a near perfect strain. It’s flavor, aroma, and effects are all delightful. Adding to its perfection is the hybrid’s incredibly easy grow. The strain thrives in warm, semi-humid climates as such it has grown resistant to the problems moisture brings. Its performance in and outdoors is exceptional too. However, apartment growers may want to invest in odor filters since Deep Cheese does emit a strong skunk scent. Not only will this keep nosy neighbors away, it will also prevent the aroma from affecting other plants. Indoors, Deep Cheese flowers within 7 to 8 weeks and growers harvest at least 18 ounces of buds per square meter. In the great outdoors, Deep Cheese tends to flower by October and yields between 21 and 28 ounces of buds per plant. Have you ever smoked or grown your own Deep Cheese? Please let me know what you think about this marijuana strain in the comments below. The post Deep Cheese appeared first on I Love Growing Marijuana.